After a truly wild Thursday, Friday was a bit of a let-down with virtually all chalk save for the very last game with Dayton upsetting Providence in Columbus. But now the Thursday winners are back in action today in the 3rd Round of the 2015 NCAA Tournament. Who will survive and advance to the Sweet Sixteen? Here are my Saturday predictions. Well I don't think we can expect as wild of a start to the day as we got with the first few games on Thursday but hey, one can hope. Who will be the next 16 teams to get to the Round of 32? Here are my predictions for the Friday action. The road to Tampa and the 2015 Women's Final Four begins tomorrow afternoon. Will we see any crazy upsets and Cinderellas or will the favorites (Connecticut, Notre Dame, South Carolina) reign supreme? Here are my predictions for the 2015 NCAA Women's Tournament. Check out Flo's picks here. The NCAA Tournament is officially among us and Fanatic Radio has the brackets and breakdown for the march to Indianapolis. Can Kentucky run the table and be the first team in 38 years to go undefeated in a season? Who can dethrone the Cats? Arizona? Notre Dame? Duke? Ben was on site to talk with David Aldridge and members of the American University Women's Basketball team on reaching the NCAA for the first time in program history. Even as the First Four began last night and will continue tonight from Dayton, the NCAA Tournament really gets underway on Thursday afternoon with the beginning of the "2nd" Round. The top two number one seeds will be in action, including the undefeated Kentucky Wildcats, as well as a number of scintillating matchups throughout the day. Here are my predictions for the Thursday action. There are certainly some interesting and notable personalities on the crop of announcers calling the 2015 NCAA Tournament, and some of them are easily impersonated. 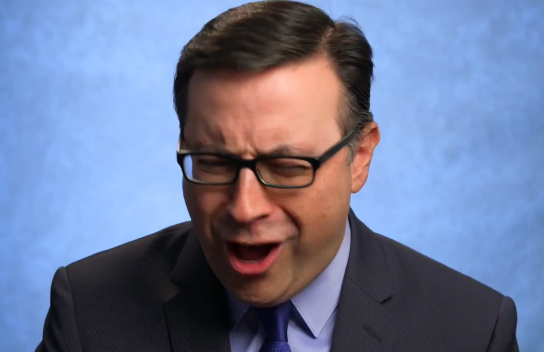 This tremendous video showcases it as such with some of the various personalities impersonating the likes of Verne Lundquist, Bill Raftery (probably the best of the lot), Jim Nantz, Charles Barkley and others. Let's go to the videotape. The 2015 NCAA Tournament kicks off tonight with the First Four in Dayton. Of course, we all know that it is ridiculous that this is considered the "first round" when only eight teams are involved but that change is coming next year, fortunately. You've got a doubleheader tonight, a doubleheader tomorrow before the real action commences on Thursday afternoon. Here are my predictions for the First Four. Well if you can't make the NIT, there is always the College Basketball Invitational. It is the eighth edition of this tournament and it is always a fun one especially considering the usual mix of some lower-tier power conference teams and some mid-major clubs. Here are my predictions. For those who do not make the NCAA Tournament, there is always the National Invitation Tournament. The NIT is not what it once was but it can be a decent consolation for those programs that may have felt they were snubbed, or those regular season conference champions that fell in their conference tournaments. Here are my predictions. This is the 20th season of Major League Baseball coverage on Fox Sports and like last season's slate, it will be a shorter schedule than we have seen in the past. It will begin Memorial Day weekend with primetime games until the All-Star Game, then it will return in mid-September for the stretch run to the postseason. 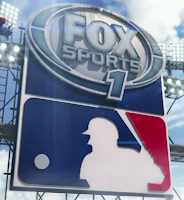 But Fox Sports 1 will be having coverage all season long, filling in the Fox blanks. Here is the schedule, to be filled in with announcers all season long, for 2015. Major League Baseball action returns to Fox Sports 1 this season with weekly coverage of the National Pastime all season long. Save for a game a couple of games on Tuesdays, and a game apiece on Thursday and Friday, the vast majority of FS1's coverage will be on Saturdays, effectively complementing the coverage on Fox. Here's the 2015 schedule. The selection committee has done their work and now we have the bracket for the 2015 NCAA Tournament. The road to Indianapolis and Lucas Oil Stadium beings on Tuesday and Wednesday with the First Four in Dayton. 68 teams have a dream of cutting down the nets on April 6th but there can only be one. Here are the seedings for this year's edition of March Madness. 2015 will mark the 26th season of ESPN's Sunday Night Baseball coverage. It will kick off on the opening night of the 2015 Major League Baseball, April 5th. The broadcast team of Dan Shulman, John Kruk, Curt Schilling and Buster Olney will return from a year ago. Here's the slate.